Swingman who helped the University of North Carolina win a national championship in 2017. He was selected 15th overall in the 2017 NBA Draft by the Portland Trail Blazers, who then traded him to the Sacramento Kings. In 2011, he was a member of the United States U-16 National team that took gold at the FIBA Americas U-16 Championship in Mexico. He was a ranked as a 5-star recruit by Rivals, ESPN, and 247Sports out of high school. He was a 2014 Parade All-American and McDonald's All-American. He was born and raised in Houston, Texas by Sharon and Lloyd Jackson. He has younger siblings named Jonathan, Jada, and Jordan. In 2017, he married Brooke Copeland. 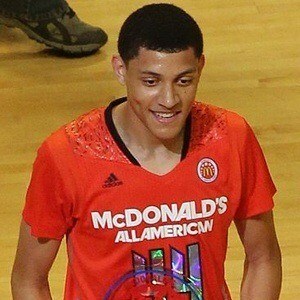 He was the co-MVP of the 2014 McDonald's All-American Boys Game along with Jahlil Okafor.